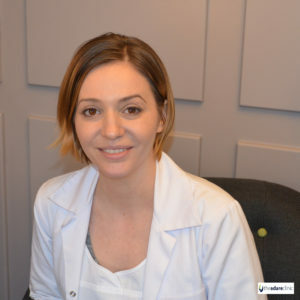 A big welcome to Maria who joined our clinic as a dermatologist a few weeks ago. Dr. Mariya Chakarova is a third generation doctor that studied medicine at the Medical University City of Plovdiv, Bulgaria. Having qualified as a doctor from University, Mariya went on to carry out her residency in the Department of Dermatology and Venerology at the Military Medical Academy, Sofia between 2008 and 2013. Maria is registered under the general register in Ireland as well as being registered in the General Medical Council UK, Member of the Bulgarian Society for Aesthetic Medicine, Member of the Summer Academy for Practical Dermatology and Aesthetic Medicine and also a Member of the Bulgarian Dermatological Society. Her interests include Practical Dermatology, skin cancers, Acne as well as aesthetics treatments for anti-aging and scar treatments. Mariya works at our clinic in Clare Street, Dublin 2. Our Adare Clinic is moving to Limerick City!